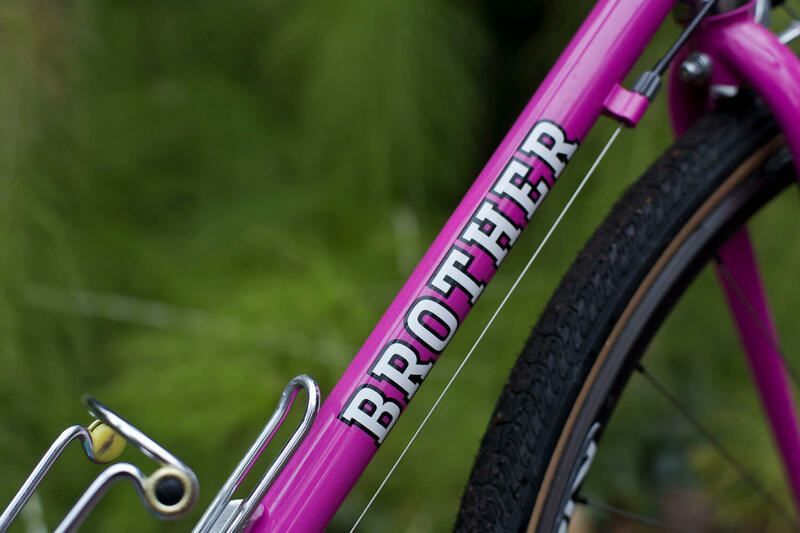 Choosing the perfect cyclocross or touring frame got more painful since Brother Cycles released a limited edition of the Kepler adventuring frame a few months ago. 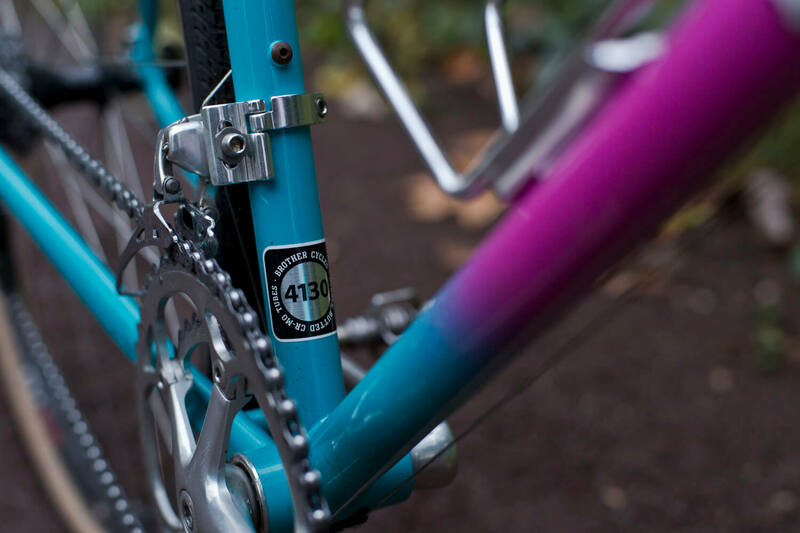 The decision is even harder because there are two different colour options to choose from — a classic, conservative dark blue and the eye-catching 90’s inspired turquoise / pink fade colour combination. 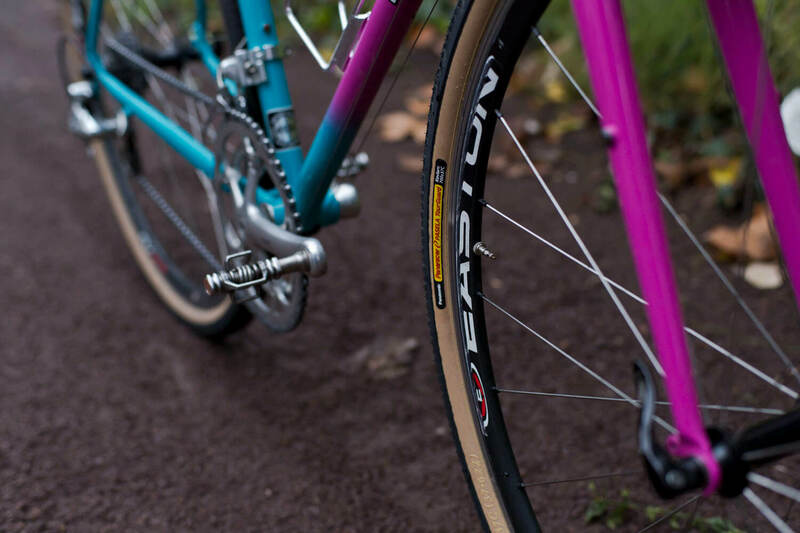 Inspired by Johannes Kepler — a German mathematician, astronomer, and astrologer who set the foundations for Isaac Newton’s theory of universal graviton, the Kepler frame set is best described as a touring bike based on cyclocross geometry. 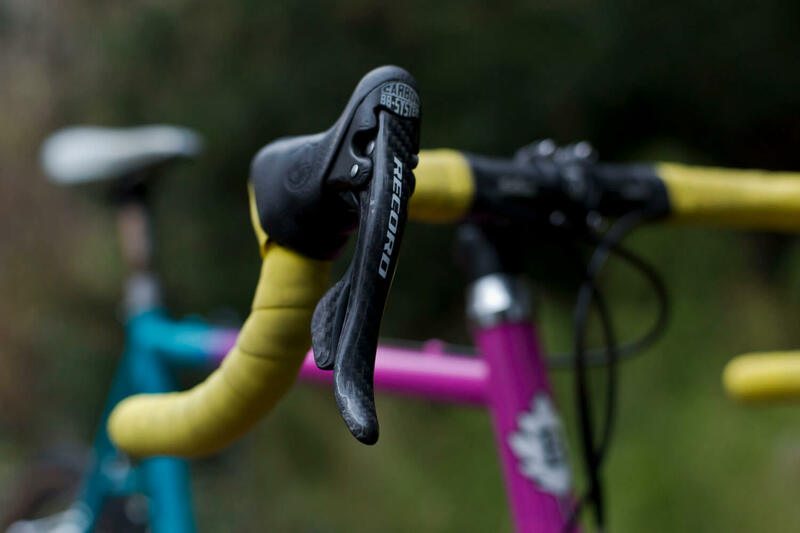 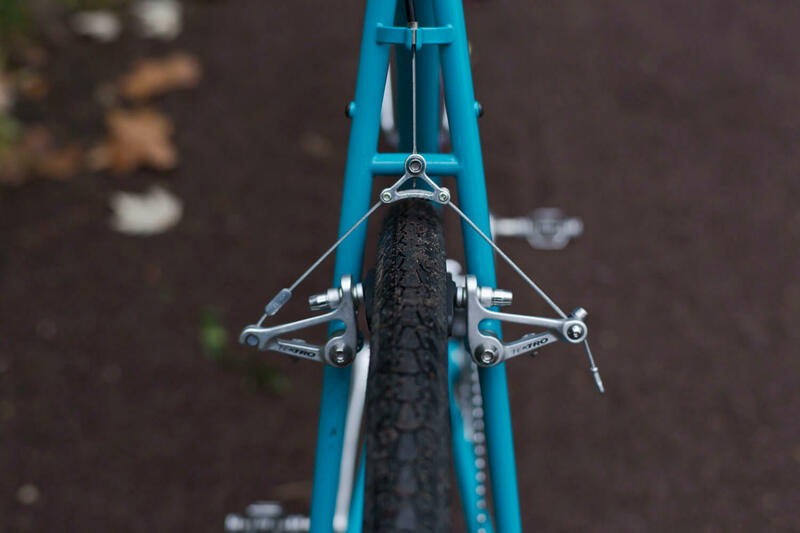 The Kepler provides front and rear Cantilever brake studs, braze-ons for front and rear panniers and a tyre clearance to fit 38c tyres with fenders. 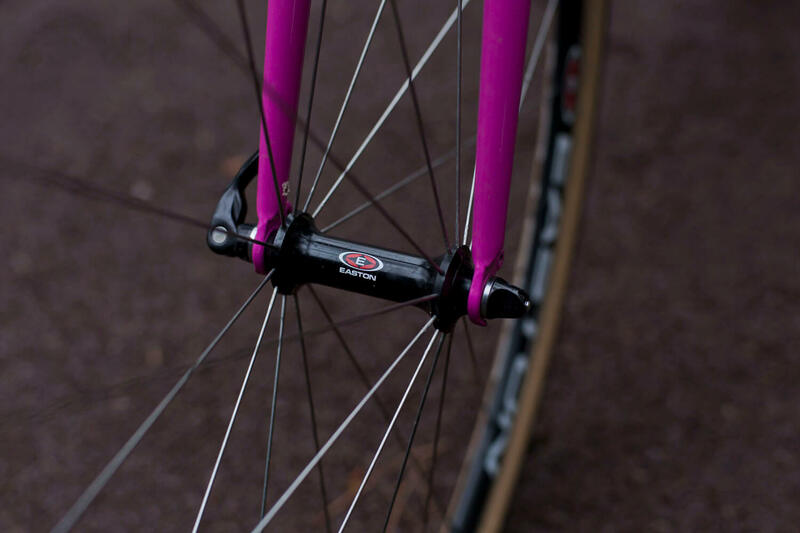 Built out of double-butted 4130 chromoly tubing the Kepler frame set has an excellent strength to weight ratio and is considerably stronger and harder than standard 1020 steel. 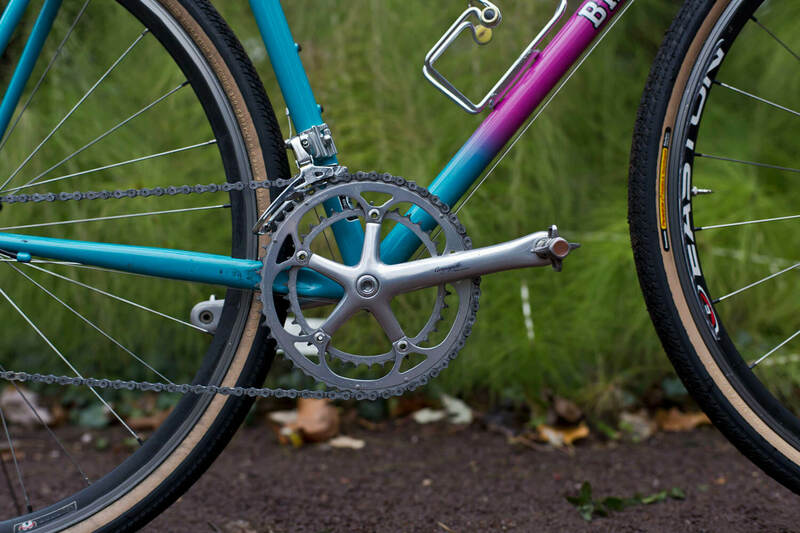 The result is a tough and durable frame for doing long distance bike-adventuring. 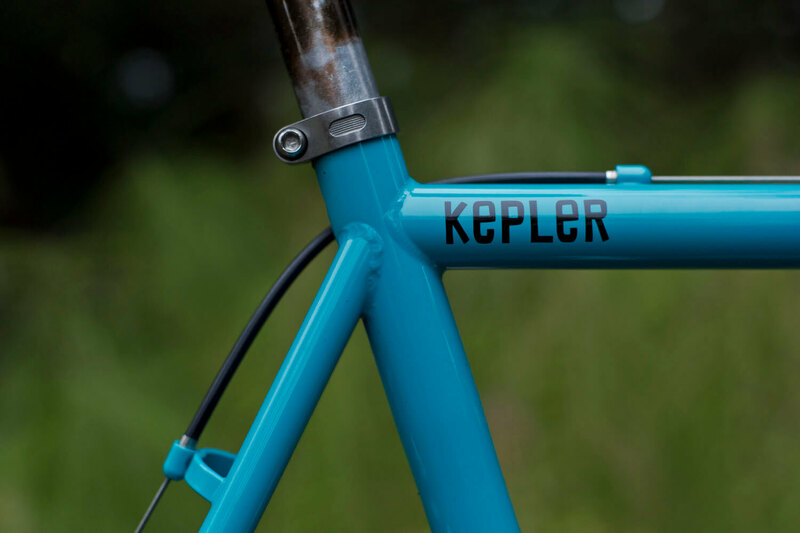 For a production frame the price / performance ratio of the Kepler is excellent. 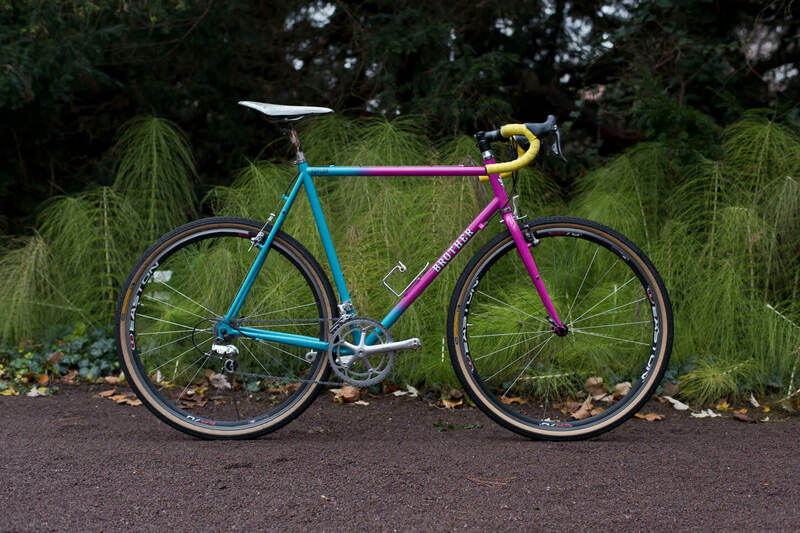 Almost all parts were taken from a rare Look cyclocross bike from the 90’s that unfortunately has been damaged. 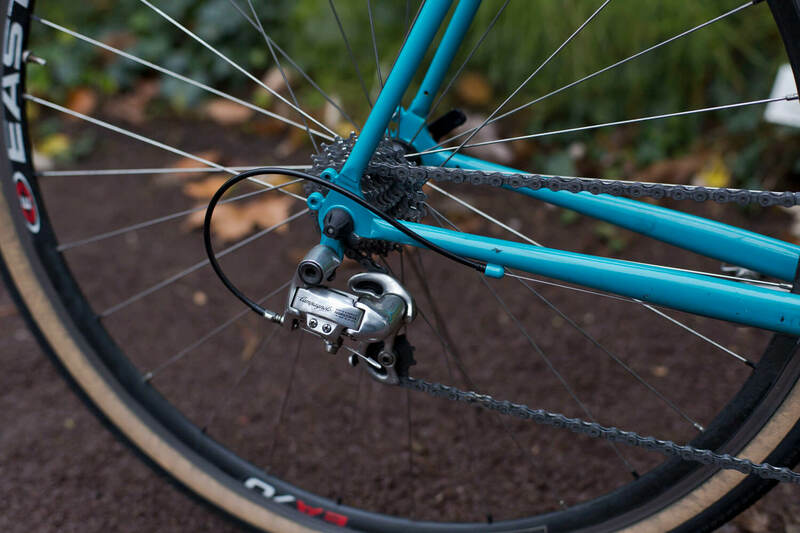 The well run in Campagnolo Record groupset is doing a great job and should last for a couple of years with this setup.